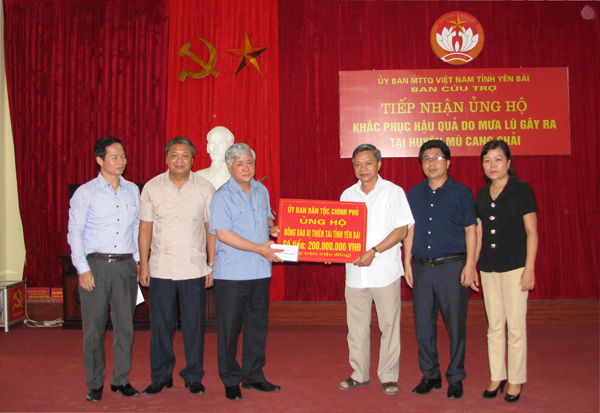 Also called Cao Lan, San Chi, Man Cao Lan and Hon Ban, the San chay number more than 114,000 persons. 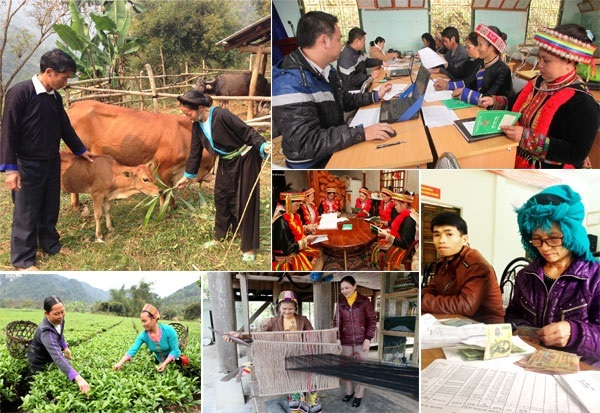 They mainly concentrate in Tuyen Quang, Bac Thai and Ha Bac provinces and are found in scattered groups in Quang Ninh, Yen Bai, Lang Son and Vinh Phu provinces. The San chay comprise two groups which speak different languages. The language of the Cao Lan is close to that of the Tay and the Nung and that of the San Chi to the Han dialect. The language of the San chay is classified in the Tay - Thai Group. 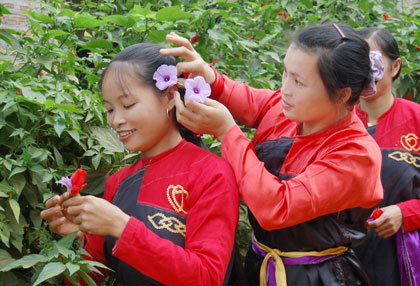 Ancestral worship is the main practice but is influenced by Buddhism, Taoism and Confucianism. The San chay mainly cultivate wet rice but agriculture as a whole plays an important role, Dozens of families form a village and live in a close association. Formerly, houses were almost built on stilts but now those built level with the ground are very popular. The house is imagined as "the Buffalo Genie", its four pillars symbolizing the four legs, the laths representing the ribs and the roof understood as the backbone. One of the two corners of the penthouse is a bay for the altar to ancestors, regarded as the holiest section in each family. Today, the attire of the San chay tends to imitate the Kinh or Tay. On ordinary days, women use the cord carrying the knife sheath as a waist belt. On festive occasions, they usually wear 2-3 silk belts of different colours. The San chay inhabitants belong to various family lineages, each lineage having several branches and peculiar habits and customs, and worshipping a definite genie. The father is the head of the family, The family of the young man organizes the marriage but after wedding, the wife lives again with her parents and only visits her husband's family now and then, She settles definitively at the husband's house only after child-bearing. 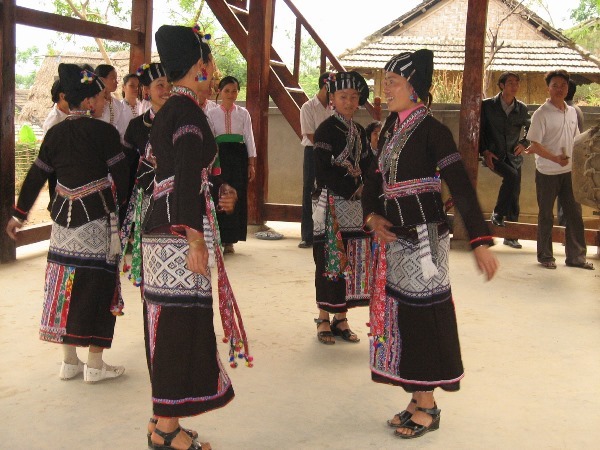 The San chay possess many old tales, folksongs, proverbs and sayings Particularly, sinh ca (alternating love song chants) is the most attractive form of cultural activity. They also have many dances like the drum dance, bird dance, harpoon-fishing dance, shrimp-catching dance, and lamp dance. The most popular musical instruments are castanets, small copper bells, cymbals, wind instruments and drums. 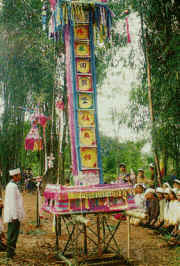 At ceremonies and festivals, there are many forms of entertainment such as top spinning, con throwing and standing on the head.